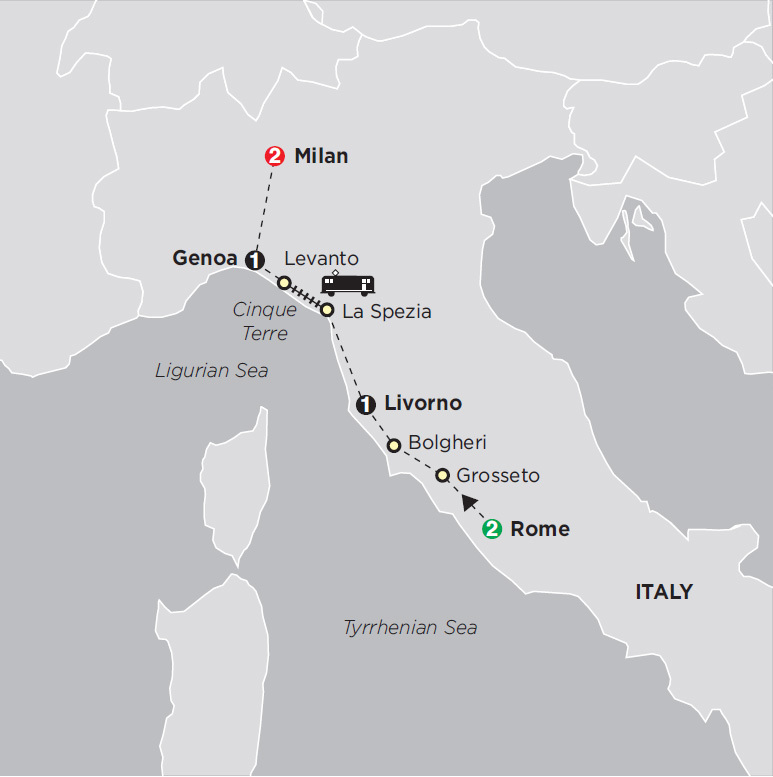 The eternal city of Rome, picturesque Tuscany, the spectacular Cinque Terre, intriguing Genoa and fashionable Milan. This vacation is the quintessence of the Italian icons, with excellent opportunities to visit some celebrated sights as well as discovering some less known gems. We have included all the basic ingredients and planned in lots of free time for you to tailor your experience to suit your tastes, interests, budget and needs. The mornings will be relaxed as we will not start any activities before 9 am. You will choose how busy you wish your day to be and whether you prefer to explore independently or join our fun group activities. 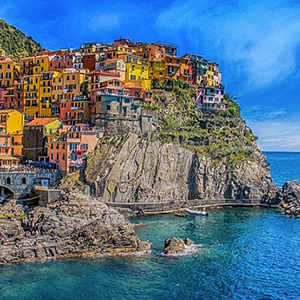 So, join us on this fascinating journey through some of Italy’s most fascinating iconic places on this affordable vacation. Check into your hotel and venture out in the “eternal city” to experience the madness of Roman traffic and the delights of its monumental beauty. Your Tour Director will be available in the early evening to advise you on how to make the most of your Italian holiday.